France is the number one tourist destination in the world, and is already home to 150,000 British people who have chosen to make the UK’s continental neighbour their permanent home. This exceptional city is home to some of Europe’s most magnificent landmarks, unbeatable cuisine and grand landscapes. Nevertheless, Paris is also home to romanticised miss-conceptions, so if you’re wanting to make the city your permanent home, here’s our guide to the real Paris. Despite being home to over 2 million people in the city and a staggering 10.5 million inhabitants in the surrounding suburbs, Paris is one of the easiest cities in the world to navigate, as orientation is simplified by the 20 numbered ‘arrondissements’ (districts) and an extensive system of buses and trains provide accessible and affordable public transport. The city also has a large bike- sharing scheme in place called Velib. The official , and first language of the majority of Paris citizens is French, although there are many regional dialects such as Breton, Basque, Occitan and Catalan, it is important to recognise that without a strong understanding of the French language, it can be difficult to secure permanent employment, meaning furthering your education of the language would be of benefit before moving. Be a tourist! 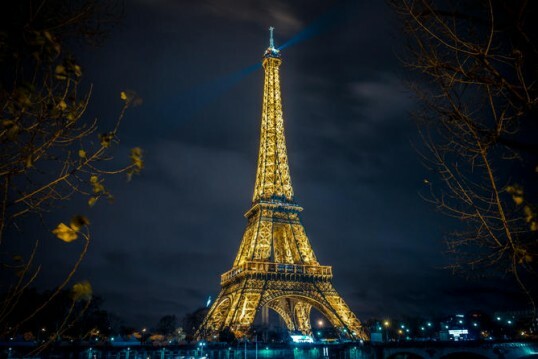 Check out some of the great iconic landmarks of Paris which make this city so magnificent, Paris is home to the Eiffel Tower, The Louvre, Champs-Élysées and Notre Dame de Paris to name just a few. French cuisine is world renowned and there is no denying the fashion culture in Paris, and if you’ve done all that why not head into the suburban districts of Paris to experience some local French culture. Although Paris has a lot to offer, the cost of living can be very expensive, especially the accommodation – so be prepared to downsize and look for a home far from the city if you’re on a budget. Despite this, there are plenty of job opportunities in Paris, plus you can take advantage of the infamous 35 hour week and large amounts of holiday time. The French healthcare system is one of the best in the world, and not to mention the comfortable climate, barely peaking above 25 degrees in the summer or below freezing in the winter. If you’re looking to relocate to Paris, or any area of France, head to our dedicated website section, and see how we can help you.